Many Realtors and Property Managers tend to cringe, when a client starts a conversation with, "according to Zillow ...," because immediately following that is a quoted property value or rent price. It's been my experience that in most cases, the agent disagrees and now has to explain why perhaps their valuation is lower. I'll explain why later, but for now, I will say that I agree with almost everything Zillow's CEO, Spencer Rascoff, had to say in the interview found in the video below. In fact, I reviewed many of my past blog posts and we've discussed much of what is said in this interview. Below are some of the topics covered in this article and also addressed in our past blog posts. Rents continue trending upward. They mention Denver, Kansas City, Portland, Charlotte and Nashville as being some booming areas within the nation. Nope, sorry, no Boise, Meridian or Eagle. After the housing crash, the demand to rent increased. Within this interview, they state homeownership dropped from 69% to 63%, putting 5 million people in the rental market. Renting is not always bad and there are a number of reasons why renting can be the better option. The one area that we may have disagreed with is that I see a small segment people who easily qualify to buy a home, choosing to rent instead. They seem to prefer the flexibility to up and move and the simplicity of submitting a web request for a repair. 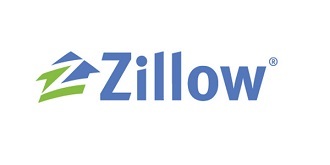 Now, why do Realtors and Property Managers not like hearing clients quoting values or rent prices from Zillow? Because, more often than not, they disagree. This too has been included in past blog topics. I don't know if it is true, but I would guess that Zillow likely holds the largest database on property values and rents. I don't know how they collect the data, but if it is out there, they seem to find it. Also, I have no idea how they determine value or rent prices, but it would appear that they collect all of this data -- such as sales data, tax records, and internet listings -- and apply some algorithm to determine value. As I explained to one client within the past week, if a subdivision of tract homes had a lot of recent activity, I would bet that Zillow is pretty close to the correct values. However, I believe Zillow's estimated values in a custom home subdivision with not much activity can be off the mark. 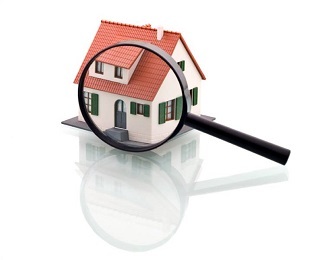 When determining value, agents and real estate appraisers find comparable sales, but then make adjustments for differences, such as: condition, location, age, lot size and features, floor plan, age of sale, etc. It's a huge list and it requires spending time comparing the subject property to comparable properties. I don't think Zillow can account for these difference in the way that a real estate agent or appraiser can. Also, using public data, and not knowing how much to weigh it, hurts. For example, it looks as though they use Ada County tax assessments within the calculation of their estimate. But unlike other counties, Ada County Assessor values are usually lower than actual values. If Zillow is going to use the assessed amount in their calculations, they need a way to make adjustments, just like I mentioned above. Internet rental listings occur much more frequently, so I think they can get Zillow closer to correct values, but I still see problems. If you have many properties rented and re-rented near a home that hasn't been on the market for many years, the rent estimate seems to be heavily influenced by the surrounding rentals. The problem I have seen is that the other homes were, let's say, three-bedroom homes with two baths but this home coming on the market is a five-bedroom home. So without being able to make adjustments, I think there is a lot of room for error. However, I do absolutely agree that Zillow data can be used to identify trends, such as an increase in values from one year to the next. The holder of the data is King and Zillow is on its way.